They took Jonathan from us, too. I suspect Giamatti wasn’t just talking about the off-season when he said that baseball breaks your heart. He was probably really talking about the trade deadline. All I could think about all day long was baseball. Even more so than usual. As the long work day wore on, my excitement kept building. Tonight there is a double header! Sometimes the good thing about a rain out is that it is followed by a double header the next day. I’d never actually been to a double header, though there’s a good amount in the minors. But this time I made sure I went. Took off work early and everything. Every once in a while a double header is a must. It clears the mind, refreshes the soul. I’d been bogged down in busy-ness lately. As soon as I walked through the door at work, I immediately felt better. 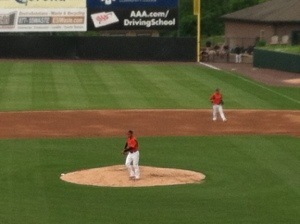 Right now it’s the 5th inning of game 1 of the Bowie Baysox double header. We’re leading 1-0 over the RubberDucks. Hopefully the lead will hold up and the rain will hold off. It was finally announced today. But all last week we waited in tortured anticipation to find out what was going to happen. Article after article came out about who should – and would – be punished and how. So, after ignoring the news for a couple of days, I was surprised that there was a tiny bit of support for A-Rod, or at least for ending the whole saga and getting on with baseball. Fox Sports, for example, noted that even if Rodriguez is guilty of everything he is accused of, he doesn’t deserve a life-time ban from baseball (which is what was being suggested last week). The Washington Post pondered what A-Rod is really guilty of – in the eyes of public opinion. An arrogant personality? A less than honest demeanor? The Daily Beast even went so far as to state that suspending A-Rod is bad not only for him but for baseball as a whole. Meanwhile, the Miami Herald remembers happier times for A-Rod (though they keep referring to him as “the fallen Yankees’ superstar”). In fact, Glanville came the closest to trying to analyze the entire situation from a sociological perspective. There are many sociological theories of deviance we could apply to the A-Rod case, they don’t all have to be conspiracy theories. What was most exhausting was simply waiting for the other shoe to drop – every day we were told that “the announcements are forthcoming.” As the Wall Street Journal said, “enough already!” I think most of us, except perhaps the most dedicated of A-Rod haters, are tired of the whole MLB suspensions drama. So, the announcement was finally made. Here’s hoping was can soon move on and get back to just playing (and watching) baseball. Martin Luther King, Jr.’s impact can be felt on nearly every aspect of U.S. society, including baseball. Like many children, King played baseball with the neighborhood kids while growing up in Atlanta, GA. However, King also experienced discrimination at an early age when white parents refused to let him play with their children. While many contend that Major League Baseball, Jackie Robinson, and other players helped paved the way for the Civil Rights Movement – and King certainly acknowledged their contributions – King himself had a lasting effect on the game itself, as well as the players and fans. Baseball legend Jackie Robinson was inspired to speak out for civil rights along w ith Dr. King. 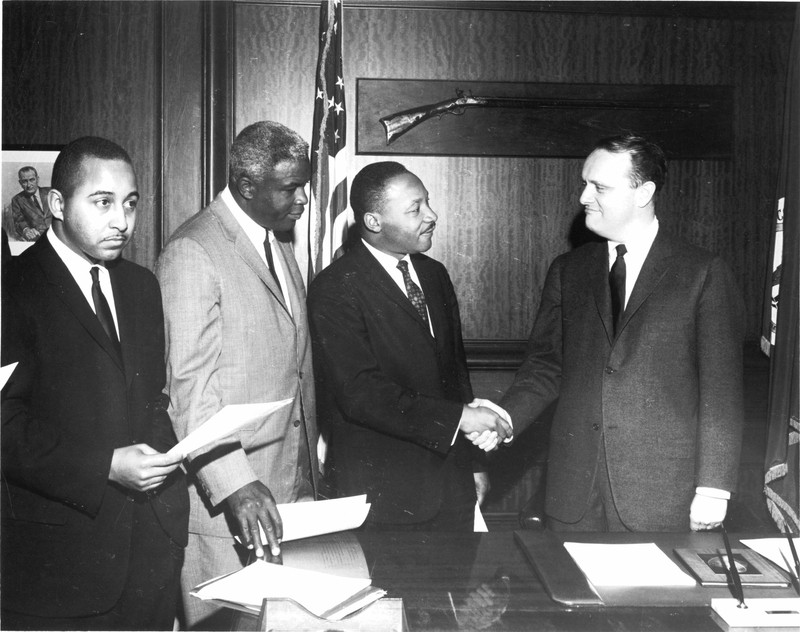 In March 1964, Robinson joined King and others in support of a state civil rights bill at a rally in Frankfort, KY. Although the Kentucky bill was not passed that year, it was reintroduced and passed in 1966. Baseball is a social institution that reflects the people, history, values, and social forces of U.S. society. 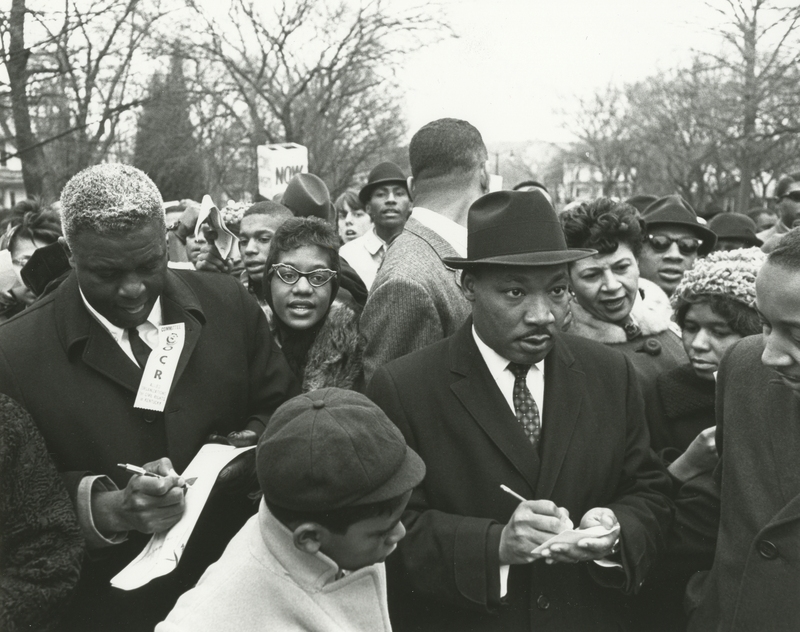 As such, its history is intertwined with the history of the nation and the legacy of Dr. King. Thank you, Dr. King. Happy Martin Luther King, Jr. Day, everyone! Believe it or not, there are actually some people out there who don’t love baseball. Weird, right? I mean it’s the national pastime! Aren’t there laws about that? Don’t get me wrong – its always an honor to take some one to their first ballgame and teach them the game (and I seem to do that a lot). 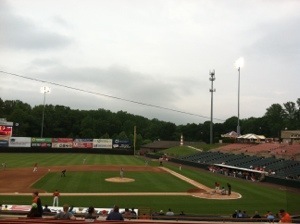 Just this past week, I took my niece to a Bowie Baysox game. 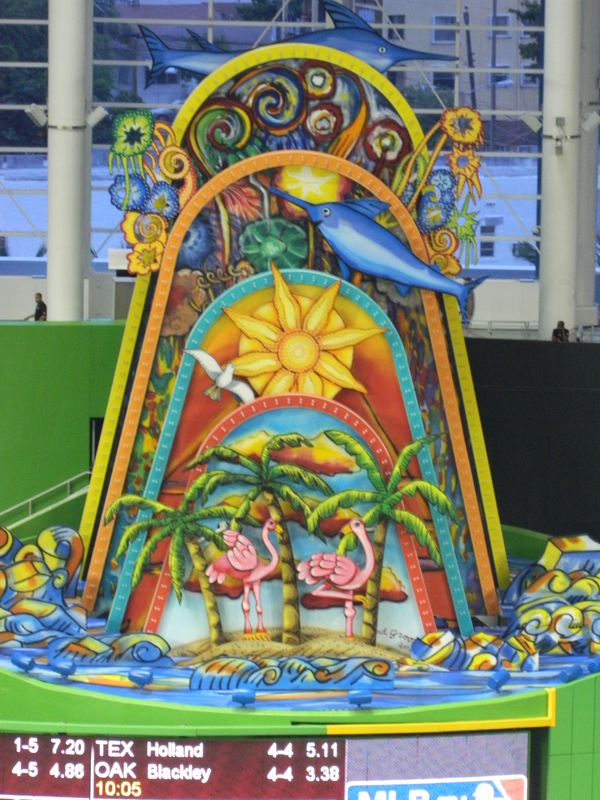 We’ve been to other games together in the past, including our family outing to see the Miami Marlins in June. 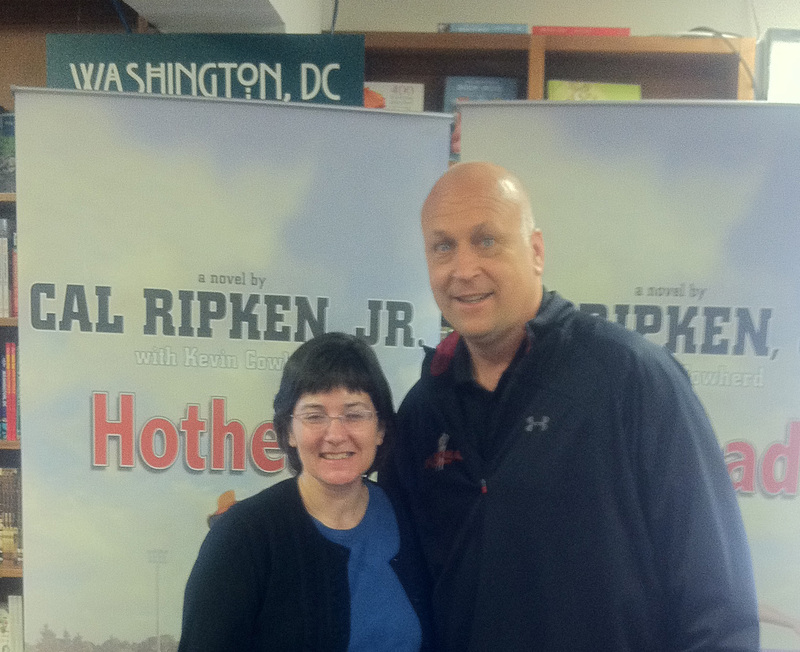 I truly enjoyed answering her questions about the game and, of course, the sociological implications of baseball, but she said that two games in one summer was the most she’d ever been to. Clearly I need to hang out with this girl more. There are actually a lot of baseball-related educational materials out there – from elementary school to college levels. In fact, there’s a great book on the subject: Baseball in the Classroom: Essays on Teaching the National Pastime, which has several examples of baseball-themed classroom materials for subjects from history to business. Of course, I’m biased. But I think we can learn a lot about baseball – everything from statistics to race relations, art, and, naturally, sociology. So, take someone to a baseball game today and teach them about the national pastime, U.S. society, and maybe even statistics! Do You Dream in Baseball? What are your baseball hopes and dreams?